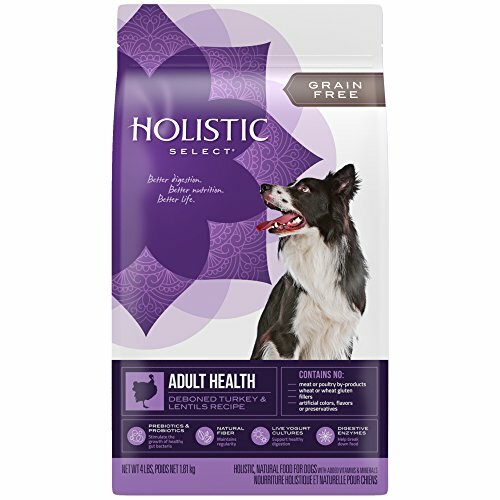 Holistic Select Natural Grain Free Dry Dog Food Adult & Puppy Health Salmon and Anchovy & Sardine Meal Recipe is dry grain free dog food formulated with our unique Digestive Health Support System, including active probiotics, healthy fiber and digestive enzymes. When combined with our other high quality, natural ingredients, this recipe supports the absorption and utilization of vital nutrients throughout your dog’s entire body. Your dog will look and feel healthy from the inside out. 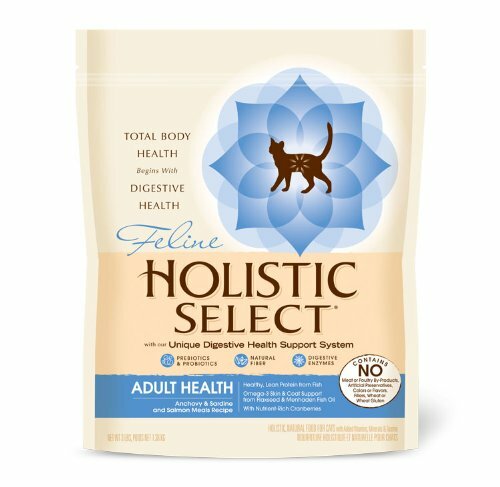 Holistic Select Natural Dry Cat Food Anchovy, Sardine, & Salmon Meal Recipe is natural dry cat food formulated with our unique Digestive Health Support System, including active probiotics, healthy fiber and digestive enzymes. When combined with our other high quality, natural ingredients, this recipe supports the absorption and utilization of vital nutrients throughout your cat’s entire body. Your cat will look and feel healthy from the inside out. 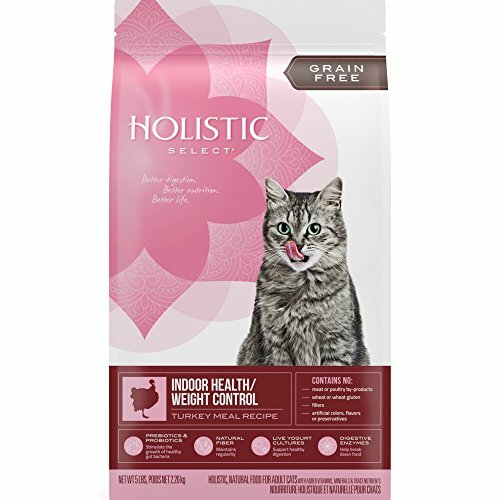 Holistic Select Feline Indoor Health/Weight Control Turkey, Chicken and Herring Meals Recipe 12 lbs 8 oz. 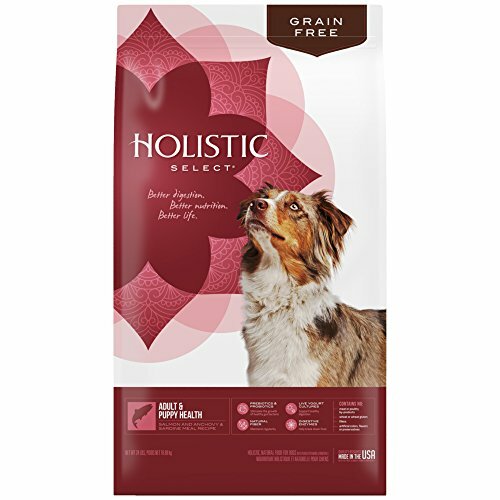 Holistic Select Natural Grain Free Dry Dog Food Deboned Turkey & Lentils Recipe is natural grain free dry dog food formulated with our unique Digestive Health Support System, including active probiotics, healthy fiber and digestive enzymes. When combined with our other high quality, natural ingredients, this recipe supports the absorption and utilization of vital nutrients throughout your dog’s entire body. Your dog will look and feel healthy from the inside out. 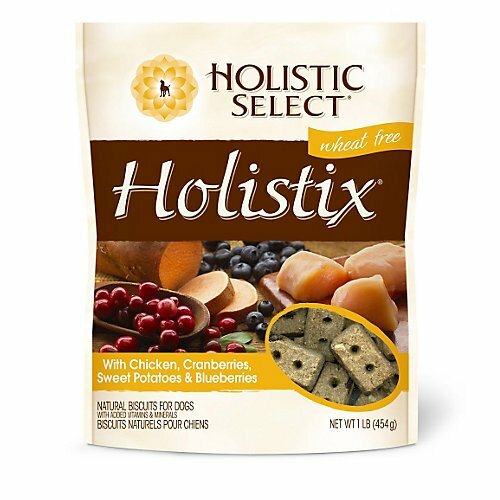 Holistic Select Holistix Biscuits with Lamb, Flaxseed, Apples & Carrots Dog Treats, 1-lb bag; Holistix natural dog biscuits are healthy dog snacks made from real meats, fruits & vegetables. 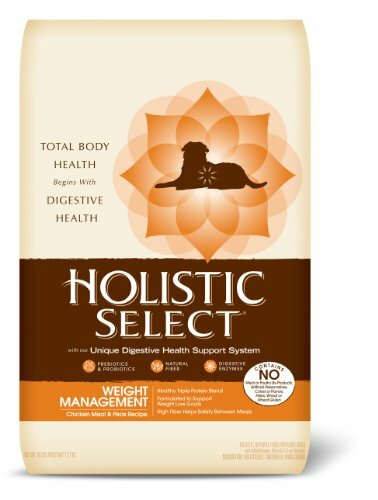 At Holistic Select, we believe your dog's total body health begins with digestive health. Our unique grain-free can recipes provide prebiotic support and feature botanicals such as pumpkin, papaya and pomegranate. These ingredients combined with our premium proteins help deliver optimum, natural nutrition for daily whole-body health. 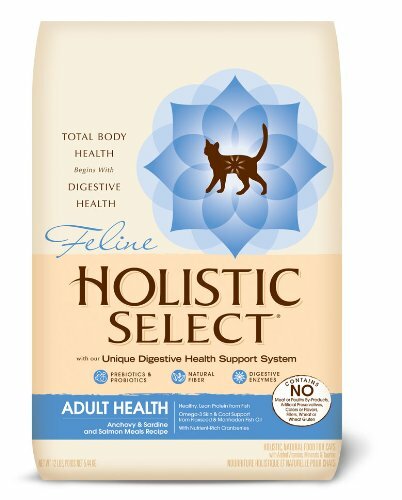 Holistic Select Natural Dry Cat Food Indoor Health & Weight Control Turkey, Chicken & Herring Meal Recipe is natural dry cat food formulated for both cats and kittens with our unique Digestive Health Support System, including active probiotics, healthy fiber and digestive enzymes. When combined with our other high quality, natural ingredients, this recipe supports the absorption and utilization of vital nutrients throughout your cat’s entire body. Your indoor cat will look and feel healthy from the inside out. 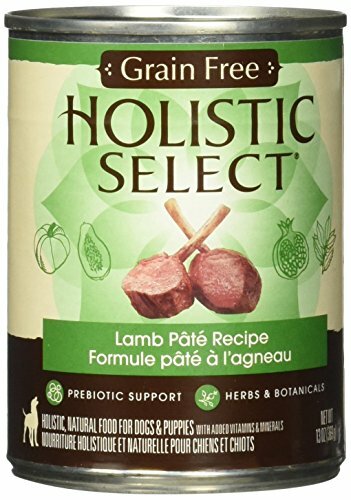 Holistic Select Natural Dry Dog Food Weight Management Chicken Meal & Peas Recipe is natural dry dog food formulated for overweight dogs with our unique Digestive Health Support System, including active probiotics, healthy fiber and digestive enzymes. When combined with our other high quality, natural ingredients, this recipe supports the absorption and utilization of vital nutrients throughout your dog’s entire body. Your overweight dog will look and feel healthy from the inside out. 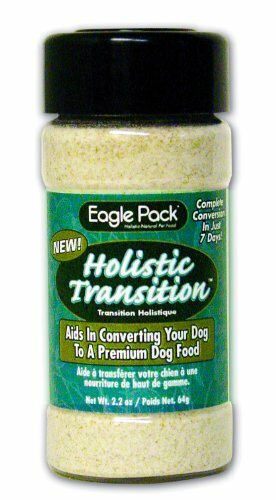 Holistic Transition offers a natural way for dog and cat owners to transition their pet to any brand of premium holistic pet food. Holistic Transition was built on the science-based benefits of Probiotics and Digestive Enzymes. During periods of pet stress, such as a change of diet, the microbial balance in the digestive tract may become upset. Probiotics (as used in Yogurt), additional friendly microbes such as B. subtilus, Aspergillus oryzae, plus Digestive Enzymes, maintain a healthy balance, so transition will be symptom-free. 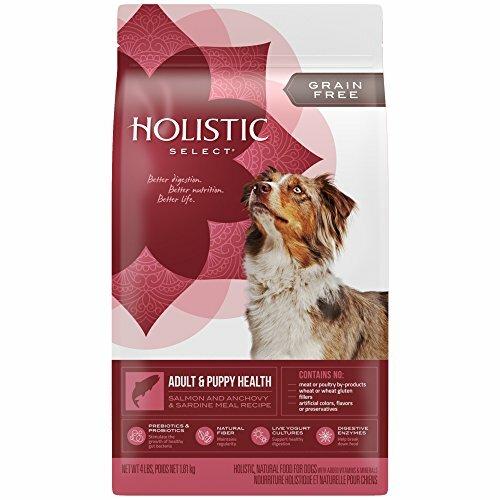 The type of Probiotics used in Holistic Transition occurs naturally in the pet's digestive tract. 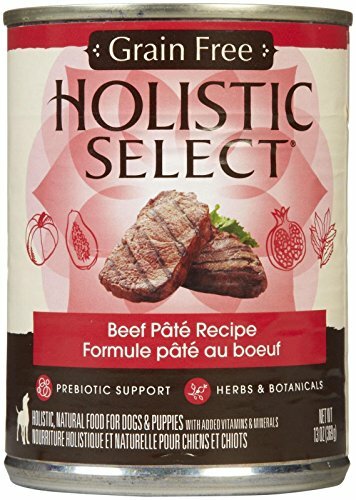 Once the 7-day transition period is complete, the normal levels of Probiotics and Digestive Enzymes included in all Holistic Select recipes, will maintain a healthy environment in the pet's digestive system, under normal conditions.